Sanskrit is an ancient language originating from the sub continent of India. Sanskrit is the original language used to write ancient Hindu texts and the Vedas. The Sanskrit script is commonly used in tattoo art to spell out names or power words, both in Sanskrit and English. 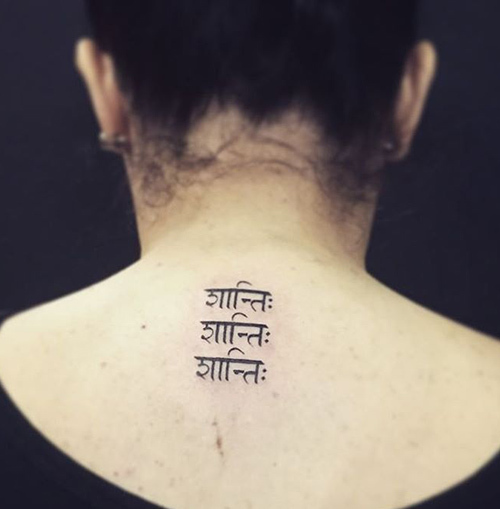 These top ten Sanskrit tattoos could effectively influence you to indulge in some tattoo art with a desi twist. 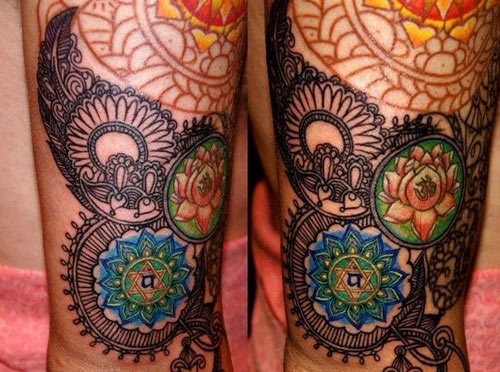 This tattoo stands out for its vibrant use of color and intricate design. The Sanskrit symbols depicted here such as the Chakra, Om, the Mandala, the lotus and the Shatkona have deep symbolic meaning in the Hindu faith. 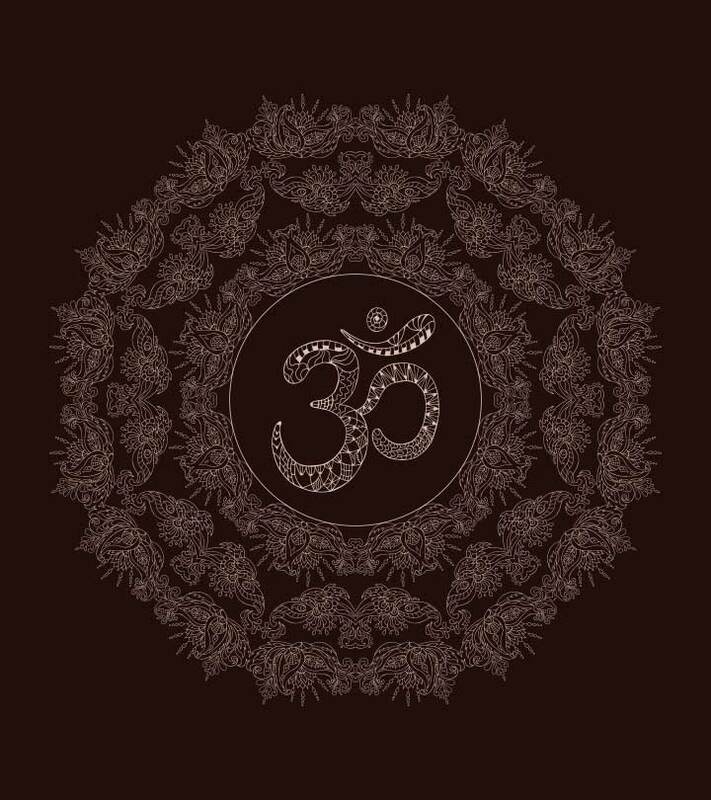 Om stands for eternal peace while the Chakra stands for the circle of life. This tattoo has both aesthetic and inspirational value. There’s something about Sanskrit that makes everything sound more exotic and meaningful. Even a name tattoed in Sanksrit has a different aura. 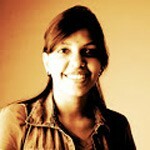 For example, in this picture Rati is a name. In Hindu culture it stands for love, desire and passion. This can also be used for any person that holds a special place in your heart. 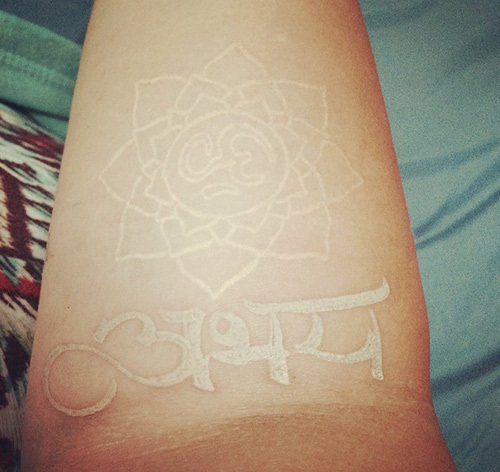 This tattoo in the Sanskrit script simply says “Asha” which means hope in Sanskrit. 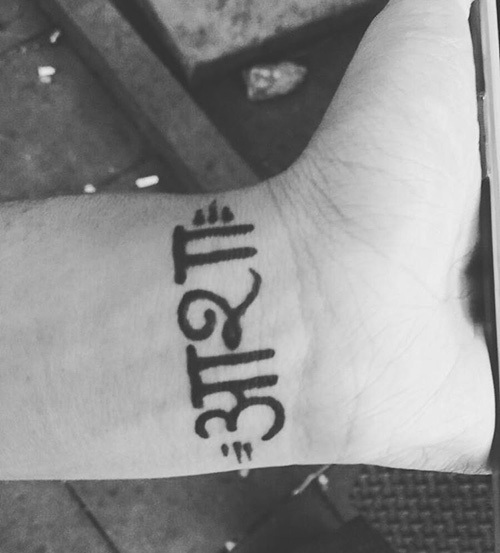 This is yet another example of how you can inscribe profound Sanskrit words on your skin for daily inspiration. You are mostly free to play with colors, positioning and your own choice of words. This Sanskrit tattoo made famous by pop sensation Katy Perry simply says “Anugachati Pravaha” which means “Go with the flow” in the Sanskrit language. If you follow this stream of thought in your daily life this tattoo is perhaps the perfect find for you. 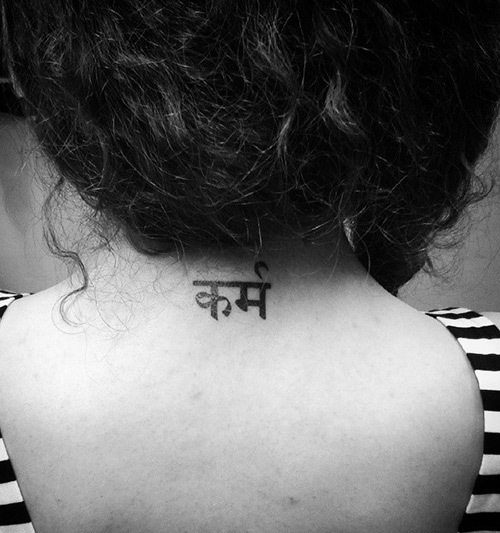 This tattoo simply says “karma” which means deeds in Sanskrit. Let this tattoo inspire you and be a constant reminder to you to live an upright life with love and kindness towards others. Swatantrata means freedom in Sanskrit. Freedom can relate to everything from love, politics, expression and taste. A tattoo is in itself the ultimate symbol of freedom, which makes this tattoo almost perfect. Make sure you get it inked where it is visible, so you can express just how free you are. 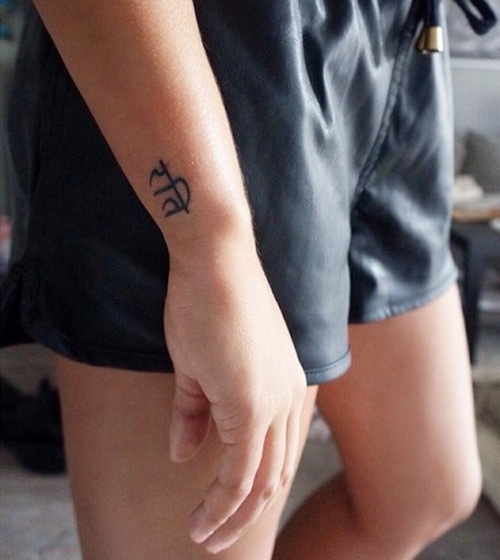 This tattoo simply says peace three times in the Sanskrit language. Have this tattoo replicated on your skin to inspire you to live a life of peace and harmony. You are free to use these profound words in the Sanskrit language in other colors or on different positions on your body. 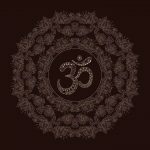 Om is the one word that is unmatched in comparison to any other Sanskrit word as it denotes peace that passes all understanding and creation itself. 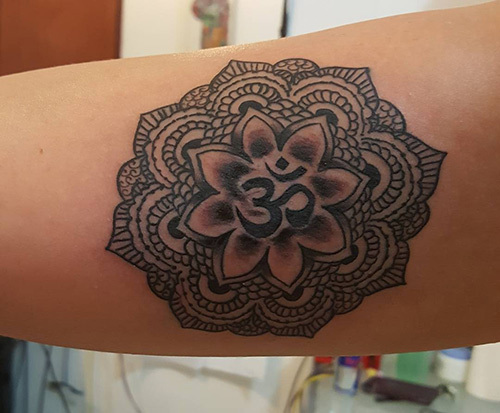 This ornate Om tattoo does full justice to the essence of the word. Have this tattoo inked on your skin as depicted here by an experienced tattoo artist only. And yes, your tattoo artists could go wrong at times. If you have already got the wrong ones, then worry not, as these best surgical tattoo removal methods will always be at your rescue. Ahamasmi Yoda translates to “I am a warrior”. This tattoo definitely sends a strong message. People will no doubt use this tattoo to remind themselves that no matter what they are facing, they are strong enough to overcome it. This is perfect for your forearm, so you can read it everytime your in a tough spot. 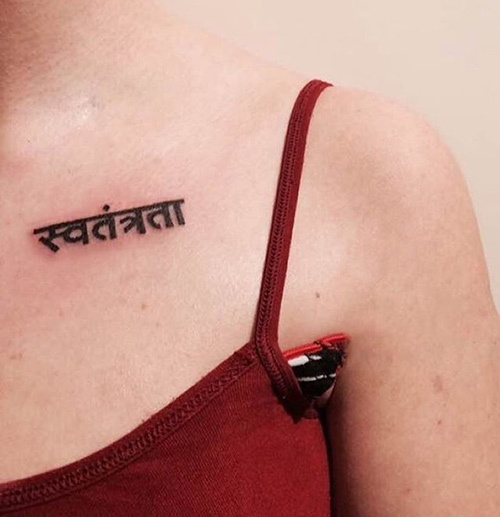 This tattoo simply says fearless in Sanskrit and having this inscribed on your skin could very well inspire you to live a fearless life, taking risks that pay off well in the end. Stay true to this piece of art as depicted here if you wish to have it replicated on your body. Hope you found this article interesting. 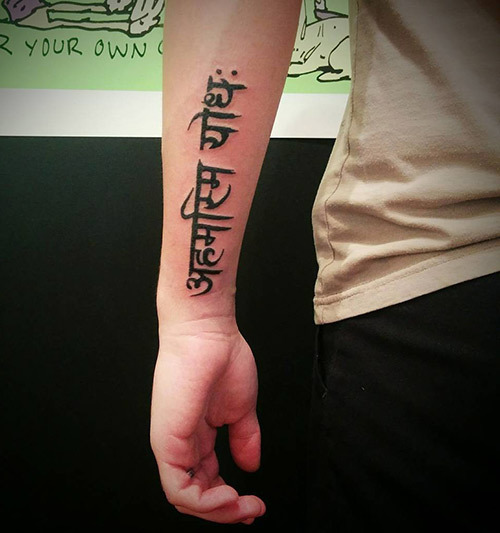 So, which tattoo fonts in Sanskrit you like to have on your skin? Share your comments below. Find more such tattoo ideas on Tattoos For All android app.